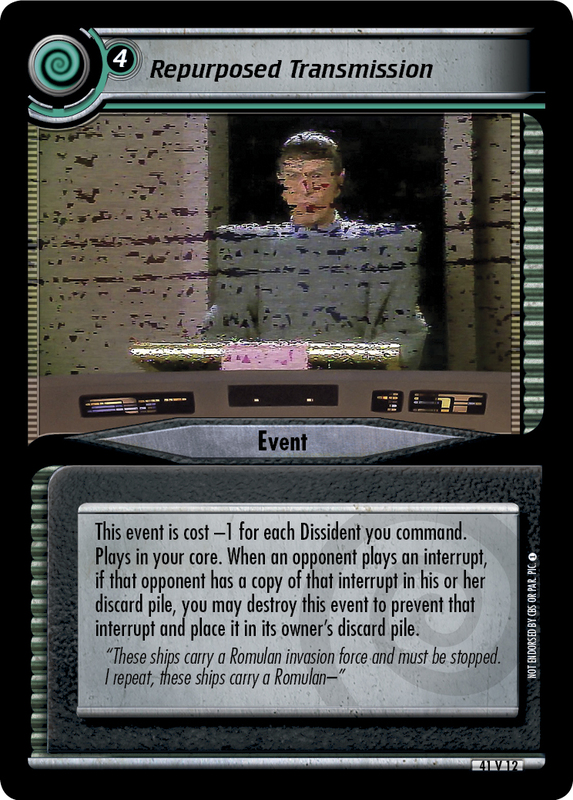 This event is cost -1 for each Dissident you command. Plays in your core. 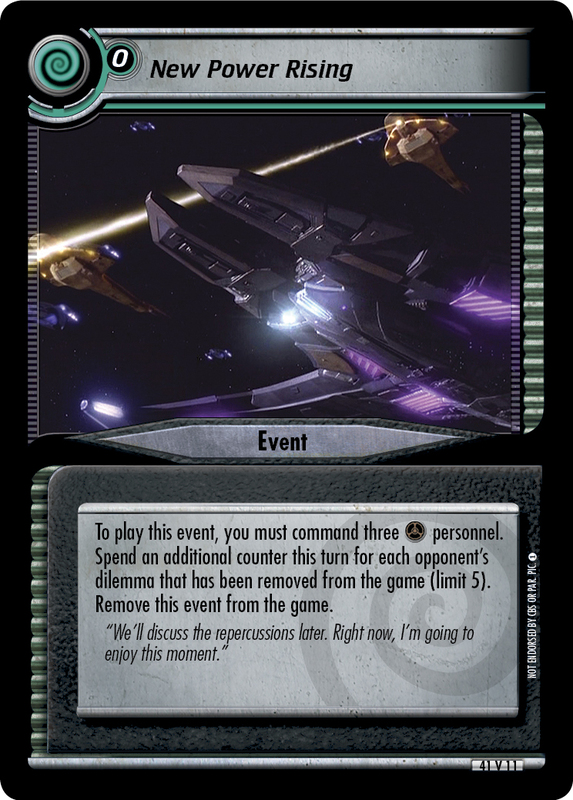 When an opponent plays an interrupt, if that opponent has a copy of that interrupt in his or her discard pile, you may destroy this event to prevent that interrupt and place it in its owner's discard pile. 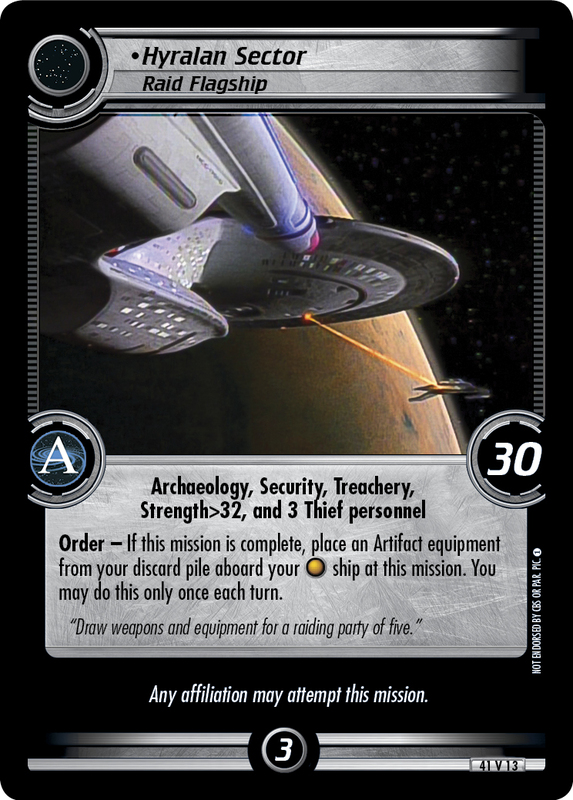 "These ships carry a Romulan invasion force and must be stopped. I repeat, these ships carry a Romulan-"